Genius Darwin is available in black and gunmetal with a mirror cut lip. All Smart Car Genius custom alloy wheels are made to extremely strict manufacturing standards, while maintaining the lightest possible weight. Genius Darwin is available in black and gunmetal with a mirror cut lip. All Smart Car Genius custom alloy wheels are made to extremely strict manufacturing standards, while maintaining the lightest possible weight. 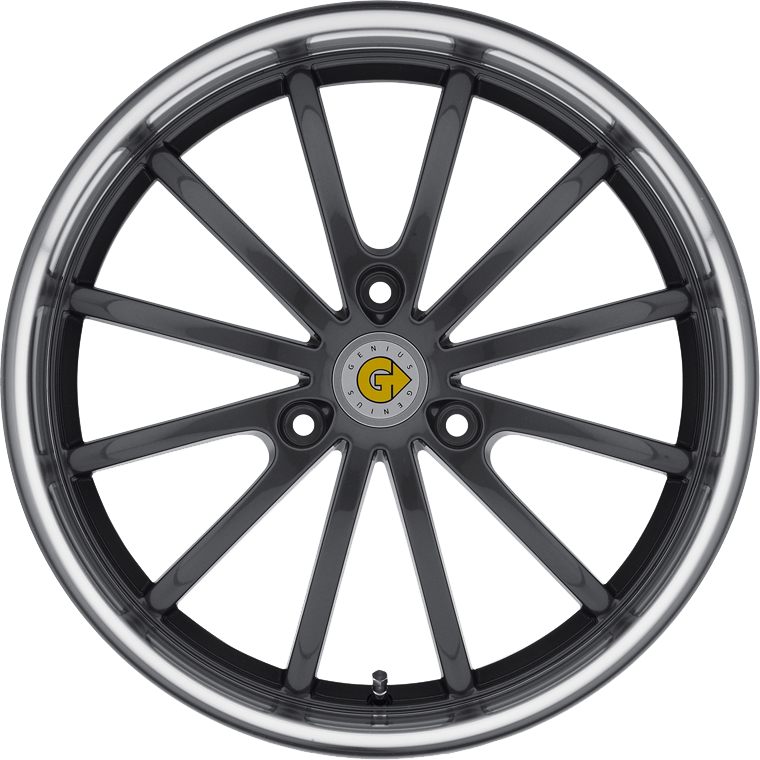 Smart cars are at the leading edge of forward looking car design; a distinct vehicle with a unique 3 lug bolt pattern provide Genius with a great opportunity to build a custom wheel in a 3 lug application, styled to enhance the look of the smart car. At Genius Wheels, we strive to make the perfect fit for your vehicle while captivating the spirit of smart.